Because both my sister and brother are on missions I’m always trying to come up with something simple to send them on the holidays so that I don’t get overwhelmed with the task. I did this for my husband Ben in High School on our first Valentine’s (cute, I know!) and I realized it would be perfect for missionaries! Plus it was easy to make it toddler approved! 1. Get a box of Valentine’s. 2. Let the cutest being on the planet color on them. 3. Write one thing you love about them on each one. 4. 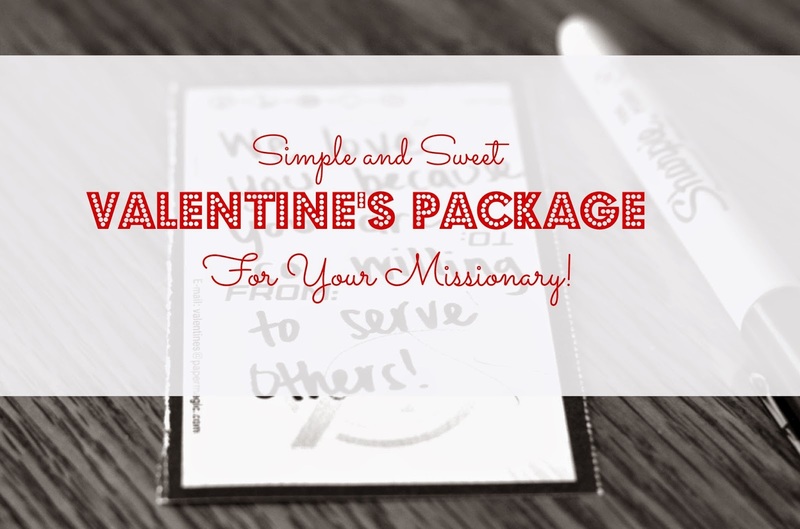 Send it off with some candy or try some of these non-candy package stuffers! Cute idea 🙂 And very thoughtful too.